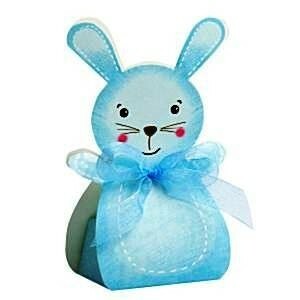 A lovely pastel blue Rabbit themed card favour/treat box. Sold individually so you can order the exact number that you require. Simply fill with items of your choice to give to all your guests at your baby shower or other baby related celebration.